The 14 Best Natural Herbal Remedies! Nowadays, when people are more in favor of using natural ingredients instead of chemical products, natural herbal remedies are going well into their favor. 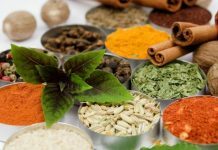 Nevertheless, this trend has already hit the western market several years back but oriental people are using natural herbal remedies for a very long time already as therapeutic elements. Centuries back when there was no medical technology, people used to get herbal treatment to cure several ailments. This is a bush, which is commonly used as medicine in the Philippines and other parts of the world. Raw Lagundi is used for curative measures to more than a thousand years in the said country but nowadays it is widely sold as capsules, which are conveniently prepared by various pharmaceutical companies. It is even said that every part of the Lagundi shrub is useful, as its root is considered good for energy boosting and is a great medicine for diseases such as dyspepsia, colic, rheumatism, worms, boils, and even leprosy. Its flowers are hailed as awesome curatives used in common cases of diarrhea, cholera, high temperature (fever), liver diseases and cardiac problems. 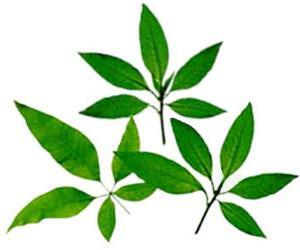 Moreover, Lagundi seeds are generally taken to heal skin problems, inflammation of the mouth and leprosy. Most importantly, Lagundi has emerged as the most trusted remedy for coughs and asthma. Popular as ‘Mint,’ this shrub can be found in almost every part of the earth. It is broadly used as one of the natural herbal remedies for weakness, stomach problems and diarrhea. This plant has an antiseptic nature, which makes it perfect for asthma patients. It is generally used in alcohol solution for asthma. Its leaves are said to be the most important part of a Mint plant for it can be used in the treatment of coughs and colds, toothaches and rheumatism. 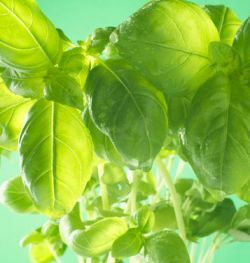 Basil is used as a spice in Italy and is considered a holy plant in oriental countries. Basil is used in diverse forms of medicine in different countries. 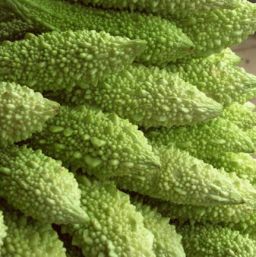 People from the Far East use it to heal ‘cough’ whereas in some places, it is used for the treatment of asthma. It is also useful for vomiting and constipation episodes. In a commercialized manner, Basil is available in capsules. Commonly known as ‘Putputai’ and ‘wild tea,’ Tsaang Gubat is a famous antidote. It is broadly used to cure stomachaches, diarrhea and dysentery. This is also used to stop bleeding from snakebites. It is a well-known body cleanser for newly born babies. Today, this is already available as a capsule and herbal tea in the market. The most common name of this herbal tree is the ‘Guava tree.’ The bark and leaves of the guava tree are well-known astringents. They are also effective anti-diarrheic. Its bark is primarily used in cases of severe diarrhea in children. 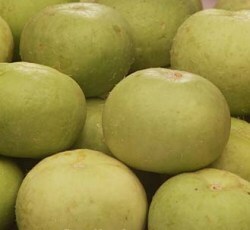 Ripe guava fruit is used as a curative agent for high blood pressure, poor circulation, diabetes and asthma. These are also considered as an enriched source of Vitamin C .
Famously known as ‘Garlic,’ this wonder spice has a long history in the natural herbal remedies world. It is considered as a super antioxidant and normally prescribed for patients with lower blood pressures and heart diseases. It is also regarded as the best medicine to boost the immune system and balancing blood sugar. 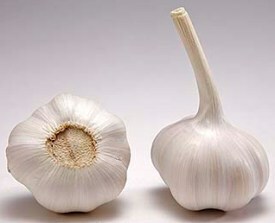 Garlic is a trusted curative agent to increase fat metabolism. Even if there is no ultimate treatment for cancer, Bawang is still a great herbal drug for prevention. This is a seasonal herb. It is considered as a wonderful treatment for those who are faded up and experience complexion problems. This is a commonly used medicine for gout and arthritis. Akapulko is a wild shrub, which is known for its antifungal qualities. Akapulko leaves are considered to be the best oriental treatment for fungal diseases because they contain chrysophanic acid. As a mixture, it is also used to treat bronchitis and alleviate the condition of asthma patients. Akapulko is now available at the market in the form of anti-fungal liniments. Ampalaya is a vegetable that is also known as bitter melon. It is full of momordicin, which makes it bitter. Due to its bitterness, it is considered as one of the natural herbal remedies for diabetes. It improves the body’s ability to produce more insulin. It is also effectual in HIV problems and liver problems. Camphor is the popular name of Sambong. This herbal plant is considered as a great medicine for edema. Normally, doctors prescribe camphor as a medicine to dissolve kidney stones. Tea made from camphor leaves are taken as a remedy to get cured from colds. They also take it as an expectorant and is a trusted remedy for toothaches. Sambong is among the most used medicinal plants today. You can find this readily available herbal plant in any kitchen. This is obviously a broadly used spice. Ginger is supposed to be magical in the treatment of some diseases. It is a bit bitter in taste but a perfect treatment for coughs and colds. It is also used to reduce the body temperature in cases of high-fever. Among one of the most trusted natural herbal remedies, turmeric has miscellaneous uses. It is used differently in varied regions. Many people use Turmeric powder to heal skin ulcers and in some other places it is used to cure the navel of newborn babies. It plays a great role in tacking blemishes and other skin diseases such as itching of the skin, eczema and psoriasis. 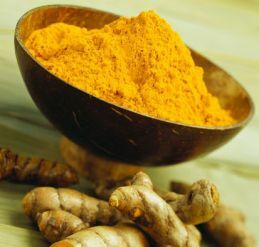 Turmeric paste provides a great relief in muscle crack or sprain. This medicine is widely available in Asian countries. It is a perfect medicine for multitude of diseases such as abdominal pain, colds, bronchitis, cough etc. 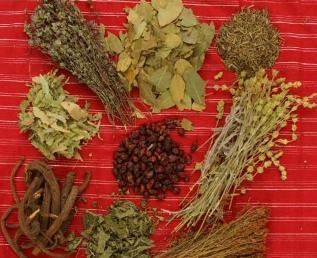 In some places, it is used to treat hyperacidity, sore throat and inflammation. If you are suffering from a constant fall of hair then apply Mulethi. It is taken as a great treatment for hair-fall. Indian gooseberry is the secret of good health for many people. The Vitamin C enriched fruit is considered as a great medicine to make the eyesight better. It is widely used as an antibacterial agent. This fruit is full of astringent properties, which makes it a great medication to be used in the prevention of infection. Their magical effects are able to cure ulcers as well. Taken as the perfect alternatives for the more commercially-prepared and standard chemical medications, natural herbal remedies are making appeal to the masses nowadays. These are not only lucrative in economic terms but are also the best substitutes to be used for healing. Unlike chemical drugs, they boast of having no unexpected side effects. A great way to try out a number of natural herbal supplements is by sampling the vast assortment of herbal teas offered by Buddha Teas. They offer leaf, green, berry, flower, root, seed, and bark teas that are chock full of natural supplements and vitamins that assist in wellness of the body, mind, and spirit. This type of tea offers help with mood, memory, liver function, hair, skin, energy, weight, vision, muscular support, fertility, and several more health-related issues. The natural, herbal nature of the tea means that the risk of potentially negative side-effects is anywhere from minimal to non-existent. Previous articleHow to Fight Cancer with Herbs?